This little guy is one of the wild flower treasures in Central Florida. 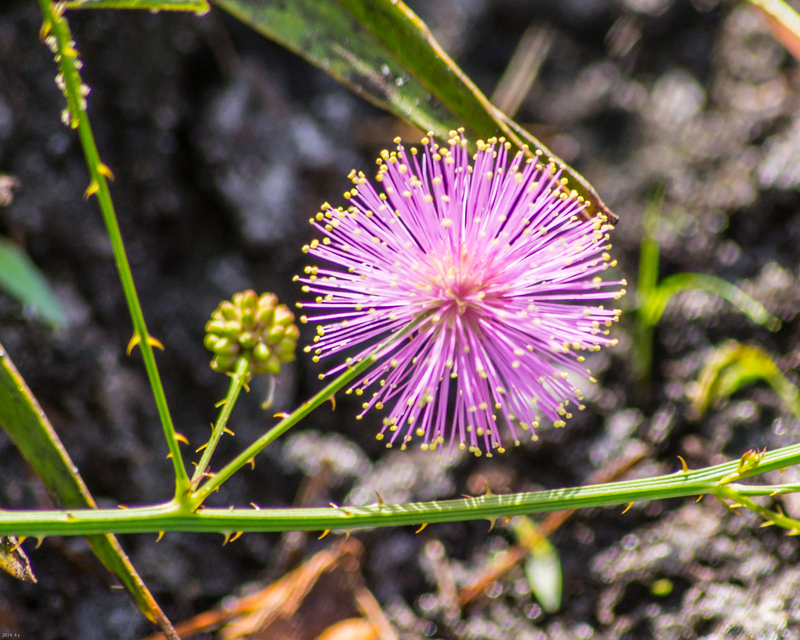 I believe it’s Mimosa Pudica. Although it’s a non-native species I am delighted every time I stumble upon one. They remind me of a fireworks explosion, they are also the source of some magnificent puff balls at a later phase of their life. It always gets me on the ground – macro lens in hand – snapping away. Yes, it does look like fireworks, such a pretty color too. Yes, I am amazed every time I see one.